Every couple of years or so the B.C. Lions Society for Children with Disabilities runs a charity sculpture project. 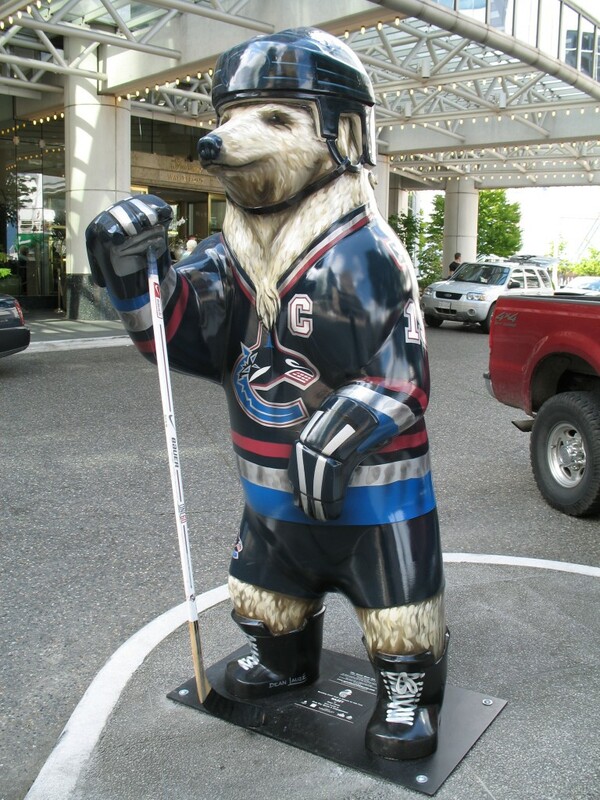 This is from the 2006 “Spirit Bear” campaign which saw 200 fibreglass Kermode bears distributed around BC. Each one was painted by local artists and auctioned off once the “exhibition” ended.